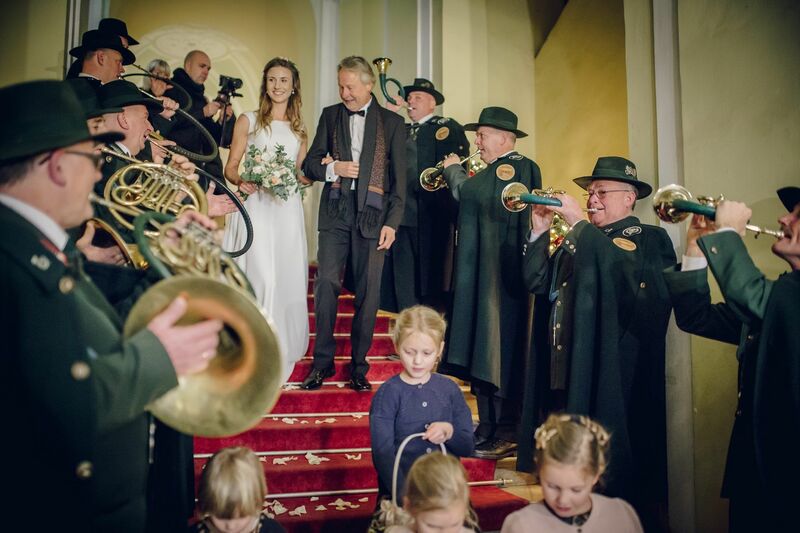 A German countess has held her fairytale wedding at a historic Polish castle taken from her family over 80 years ago. 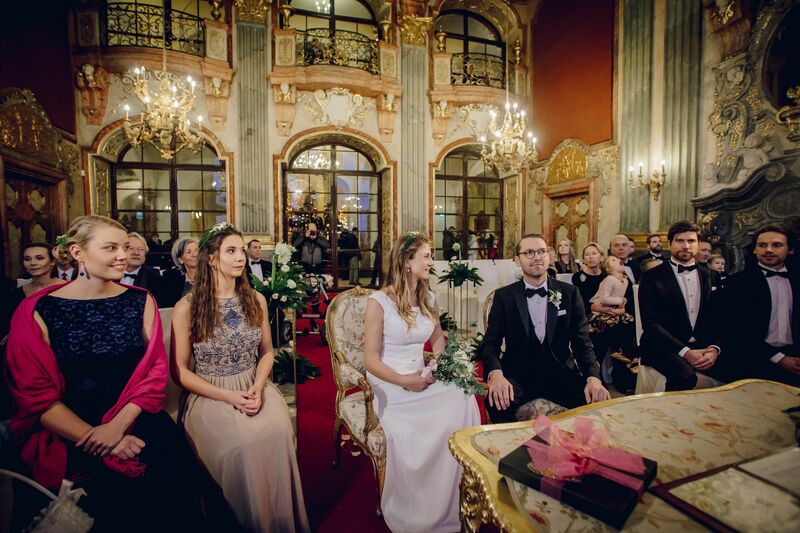 Książ Castle, located in southwest Poland, housed the celebration of the union between Countess Carolin Alexandra von Hochberg and Jasper Schulz, an IT manager, on December 1 in an intimate ceremony, making her the first Hochberg to be married at the castle in almost a century. Seated at the castle for over 400 years, the royal German line of Hochberg-Pless last celebrated a family wedding at Książ (then named Fürstenstein) in 1924 when Prince Hans Heinrich XVII von Pless wed Countess Marie Katharina von Schönborn-Wiesentheid of Bavaria. Fifteen years later, with the outbreak of WW2, Prince Hans and his brother Prince Alexander von Hochberg left Książ to fight against Hitler in the Polish and British armed forces. Their mother, socialite Princess Daisy von Pless, also rebelled against Hitler’s regime by working for charities that helped prisoners at the Gross Rosen concentration camp. Branded an enemy of Germany, the family lost ownership of the castle in 1944 when it was taken over by the Nazis. 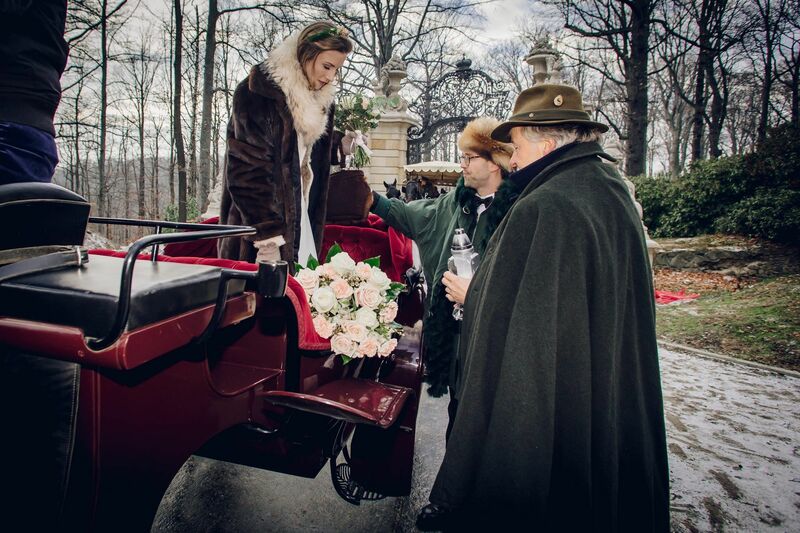 But 83 years later, the countess, whose full title reads Countess Carolin Alexandra von Hochberg on Roztoka, Baroness of Książ, decided to hold her wedding at the castle after she visited it back in 2017 for a family function. 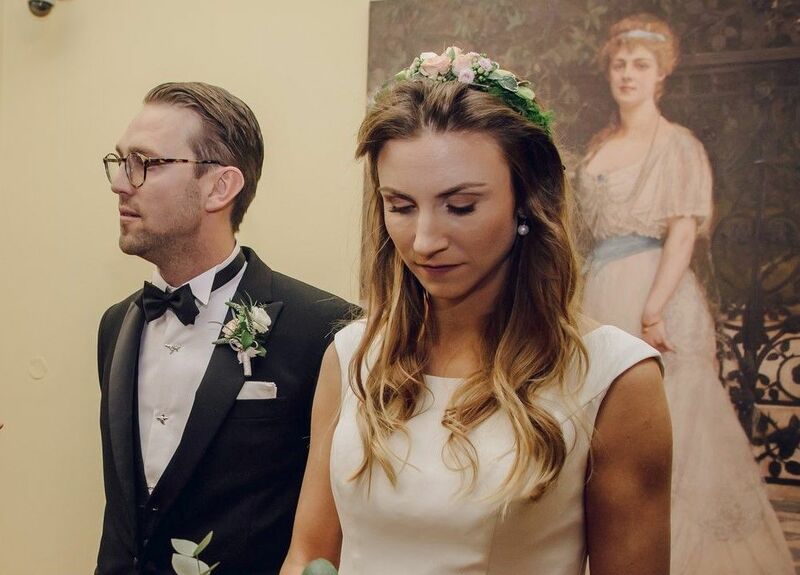 “It is an honour for me to be the first Hochberg after a long Hochberg history in the castle who had the chance to marry in Książ, and it was really touching and emotional for both me and Jasper,” she told TFN. “The day was full of love for each other and with the love of our closest family and friends. 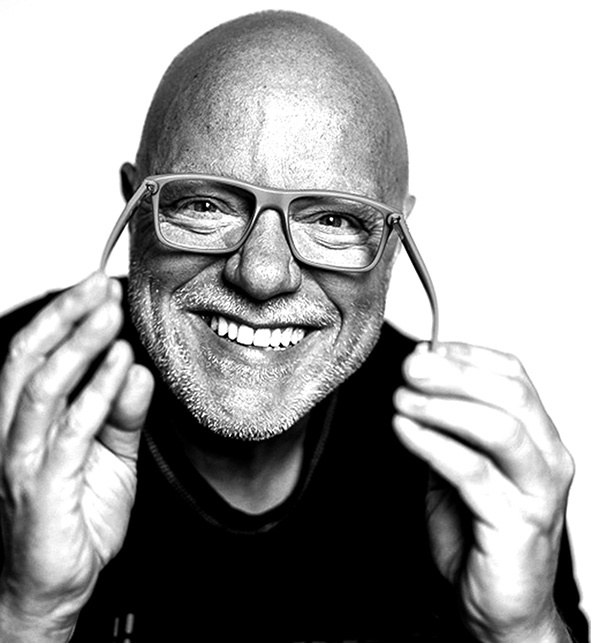 Although we were surprised at the big media interest we felt like we had a very personal and charming wedding because of the lovely and friendly Silesian people around us,” she added. As a passionate lover of history Carolin wanted her big day filled with tradition. The bride arrived at the castle in a horse-drawn carriage, and the wedding ceremony took place in the historical Maximilian room. Wrapped in a lightweight, elegant dress the bride walked down the aisle to a symphony of French horns. “We were blown away by the friendliness and the happiness of all the people we had the chance to work with during the preparation. Everyone was amazing,” the countess told TFN. Before the ceremony ended, the happy couple celebrated further with family and friends over the wedding dinner, which was served in the second floor Princely apartments. 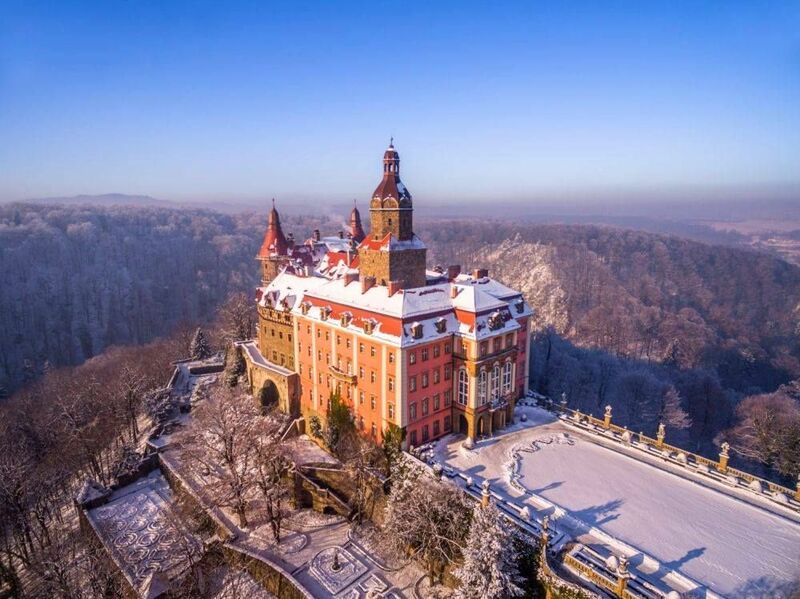 Książ castle spokesperson and president of the Princess Daisy von Pless Foundation, Mateusz Mykytyszyn told TFN that the guests enjoyed salmon tartar, caviar, roasted venison, and raspberry and chocolate soufflé from the castle’s own restaurant. 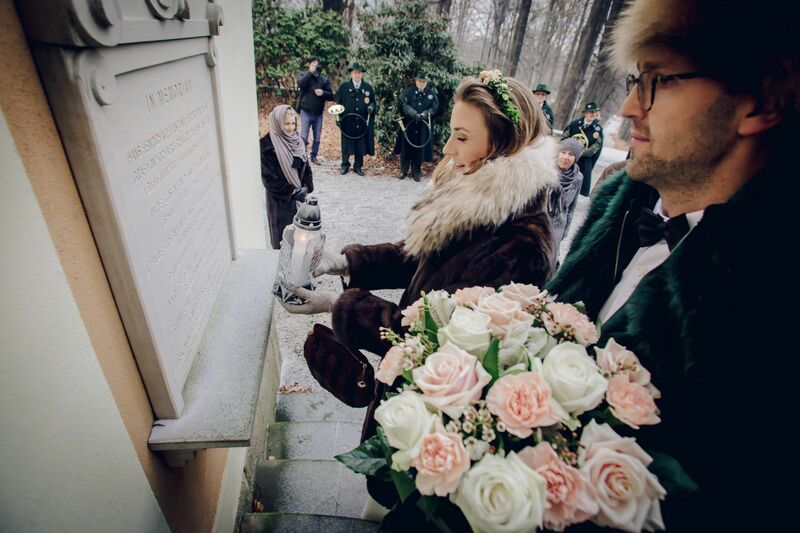 Before the ceremony the couple visited the Hochberg mausoleum to pay their respects to their Hochberg-Pless ancestors. Taking a moment to remember the past, the couple laid flowers on the empty sarcophaguses of relatives such as Herzog Hans Heinrich XI von Pless, and beloved princess and Carolin’s treasured great-great aunt, Princess Daisy Von Pless, who died in relative poverty after Nazis took over the castle. After the war, the castle was given to Soviet forces before being taken over by the state. It endured, however, a torrid time in the immediate decades after the war, falling into disrepair and subjected to looting before it started to undergo refurbishment in 1968. Carolin says the castle holds a place in her heart, and, according Mateusz Mykytyszyn, who is also a close friend of the countess, others are also touched by the castle’s beauty and the history. Now married, the happy couple will return to their home in Lübeck, Germany to start their own family together. Although the countess concedes that this won’t be her last visit to Książ Castle.